FREE Frozen Yogurt At Menchie's! You are here: Home / FREEbies / FREE Frozen Yogurt At Menchie’s! FREE Frozen Yogurt At Menchie’s! 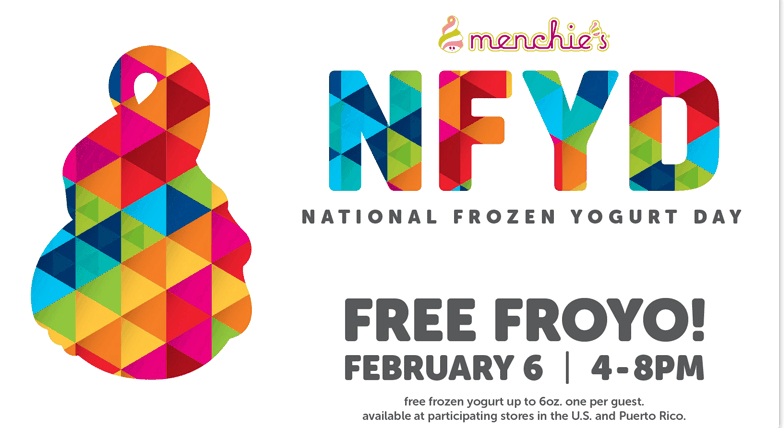 In honor of National Frozen Yogurt Day you can get FREE Frozen Yogurt, TODAY ONLY 2/6/15 at Menchie’s Frozen Yogurt! Today only at participating locations from 4-8 pm you can get yours! Find a participating location near you, click here!